For those looking to directly support our filmmaking efforts, you can now make a tax-deductible donation to the FORTY PANES film through our fiscal sponsor the Austin Film Society by clicking here. 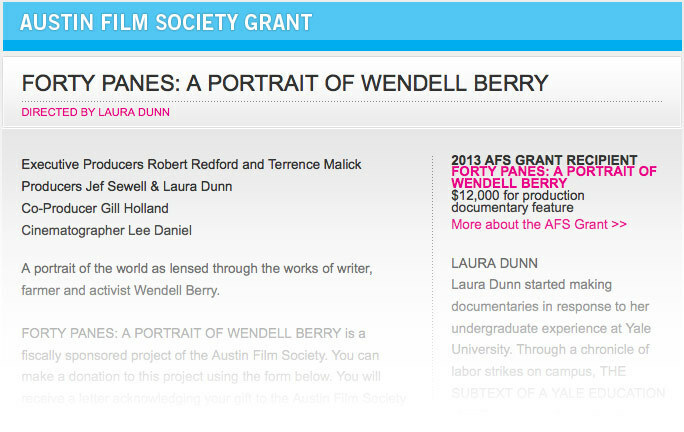 You will receive a letter acknowledging your gift to the Austin Film Society on behalf on the project. Since AFS is a non-profit organization, your donation may be deducted from your taxes as a charitable contribution under section 501(c)(3) of the Internal Revenue Service code. If you don't wish to donate but still wish to support FORTY PANES, we still would love your help! Please subscribe to our newsletter or follow us on Twitter!